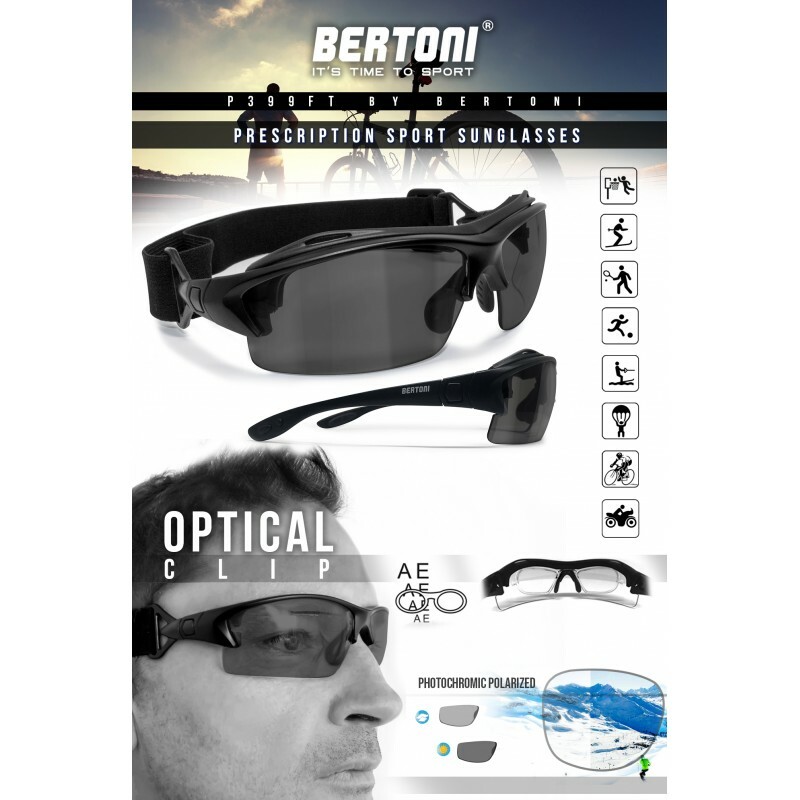 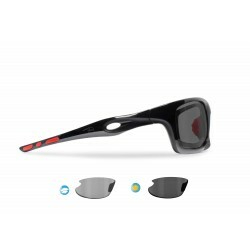 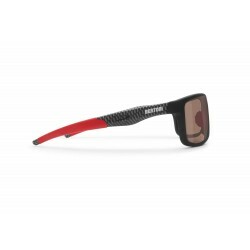 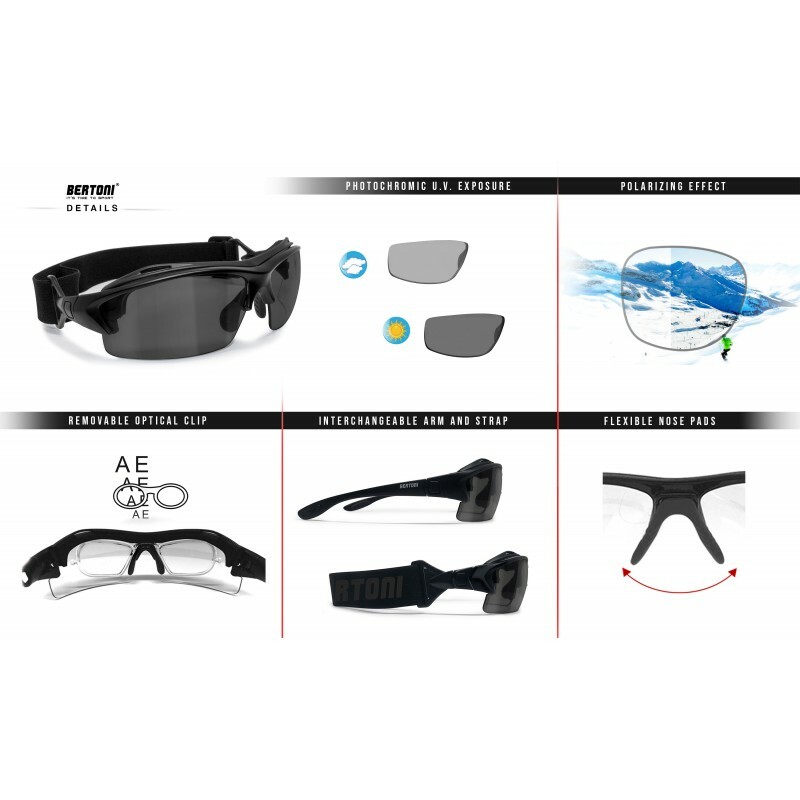 Cycling Prescription Glasses and Goggles – Photochromic Polarized Lenses - Removable Clip for Pescription Lenses - Interchangeable Arms and Strap – P399FT by Bertoni Italy: Frame: mat black anticrash polycarbonate - thanks to their excellent grip at arms, at the adjustable nose pads and moreover with the elastic strap, this sunglasses will stay in place. 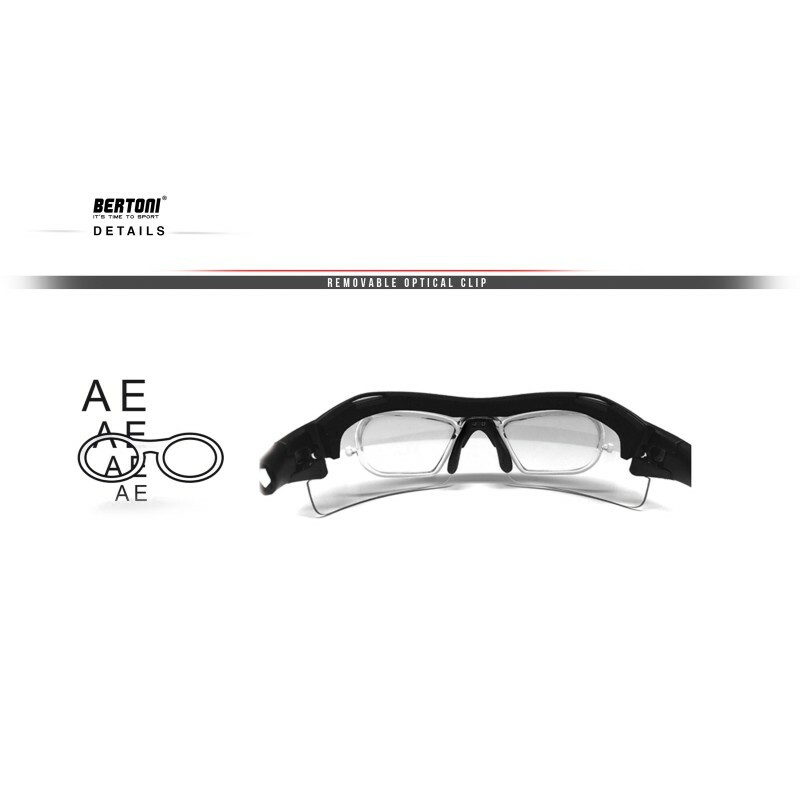 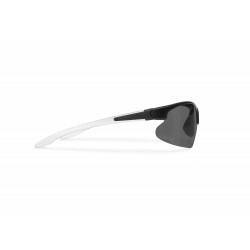 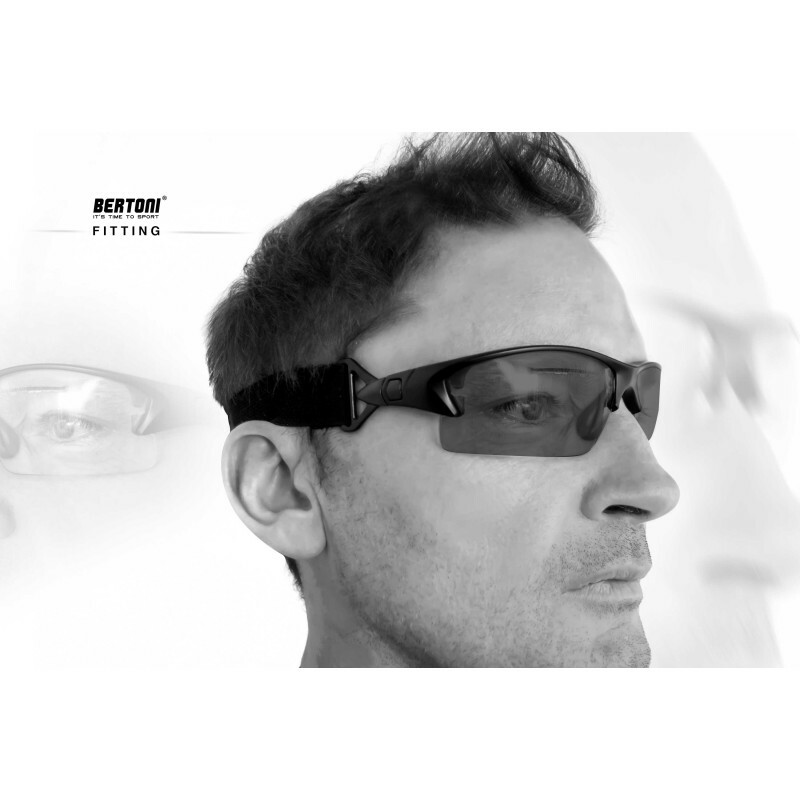 - Included a Removable Optical Insert for Prescription lenses - any strength friendly – Your optician can easily assemble your prescription lenses to the clip - Lens: photochromic polarized from light smoke filter 2 to grey filter 3 - it adjusts to the brightness. 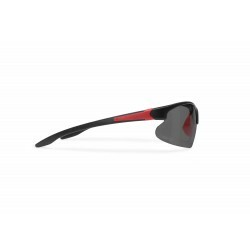 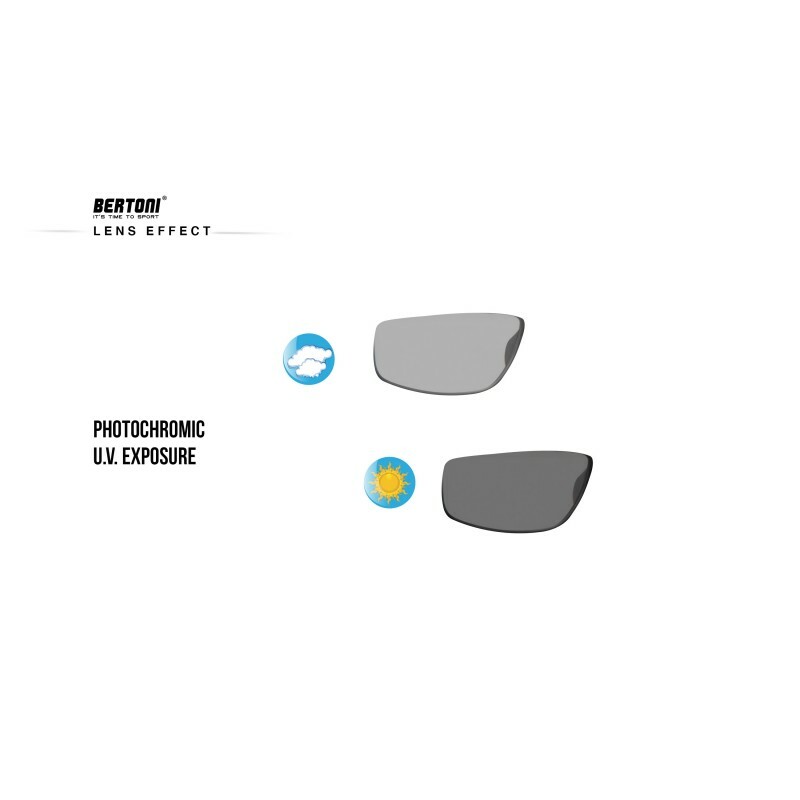 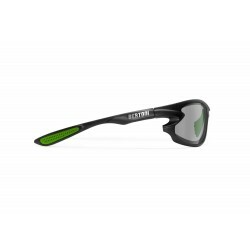 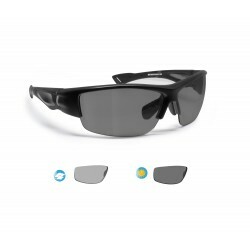 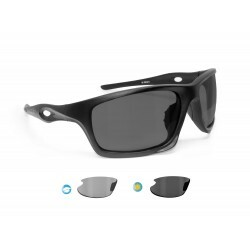 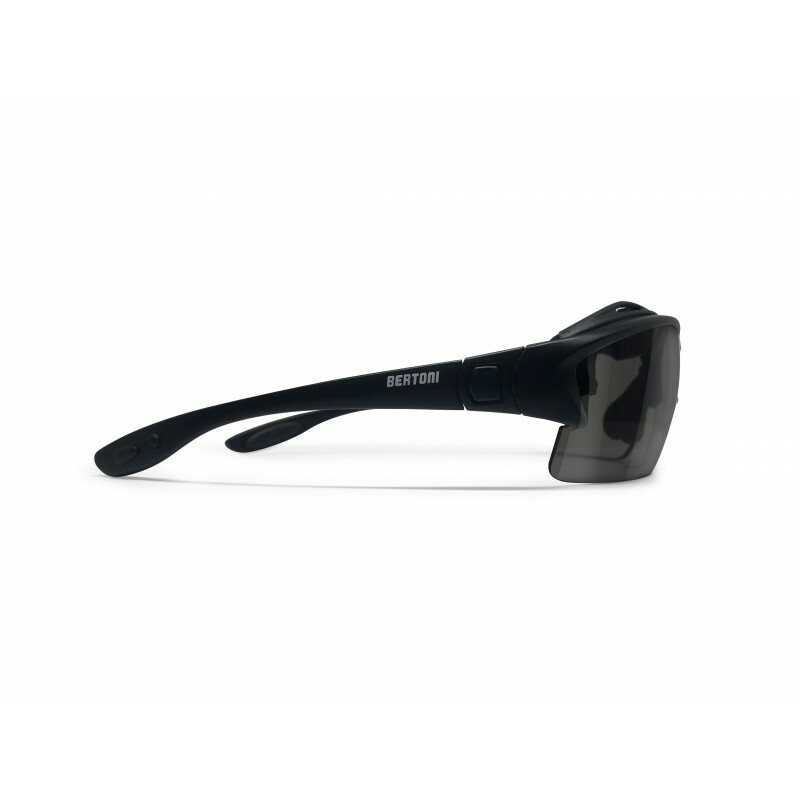 Polarized lenses: reduce reflections of horizontal surfaces. 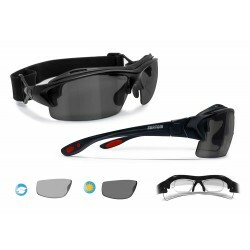 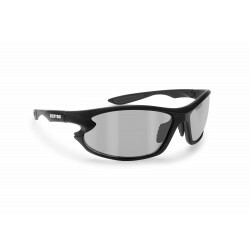 This lens combines both polarizing and photochromatic features - 100% UV Protection - Interchangeables arms with elastic adjustable strap to have a very skin tight fitting making sports - black hot printing logo. 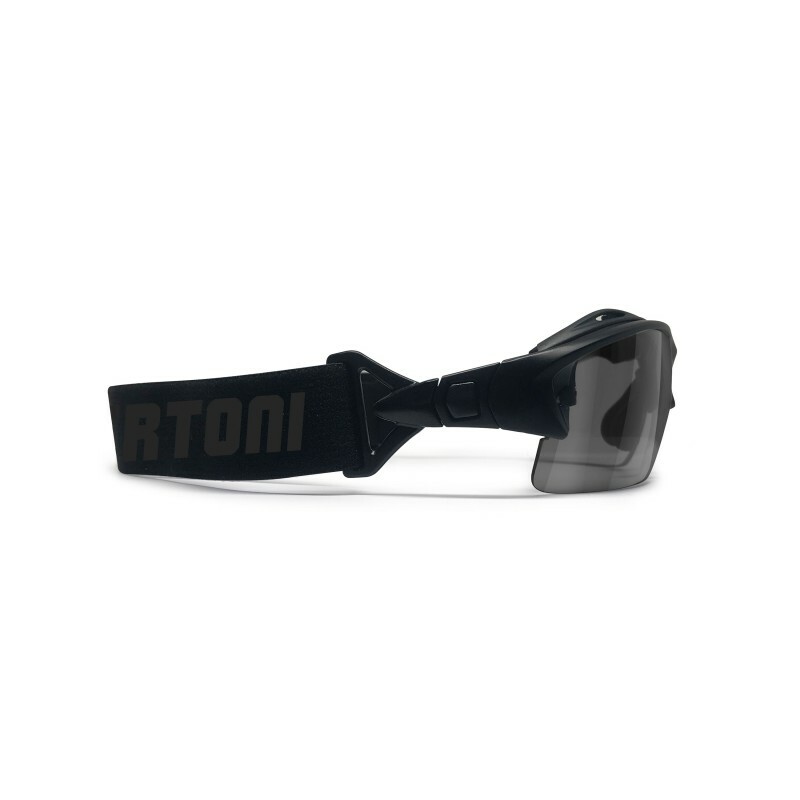 - The inside of the front frame is covered with a removable windproof soft foam for a comfortable fitting, specially when used with the strap. 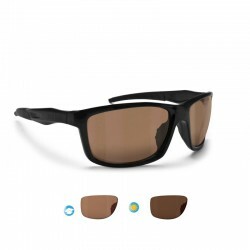 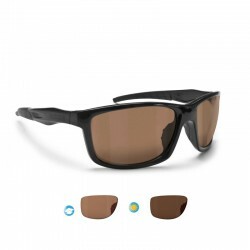 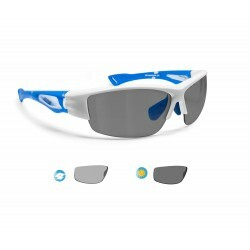 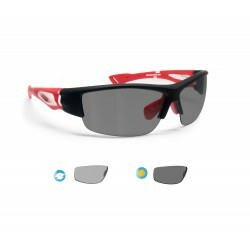 - Wraparound design: protects the eyes from wind and bad weather, provide enhanced peripheral vision - Size: suitable for all types of faces (narrow to large).